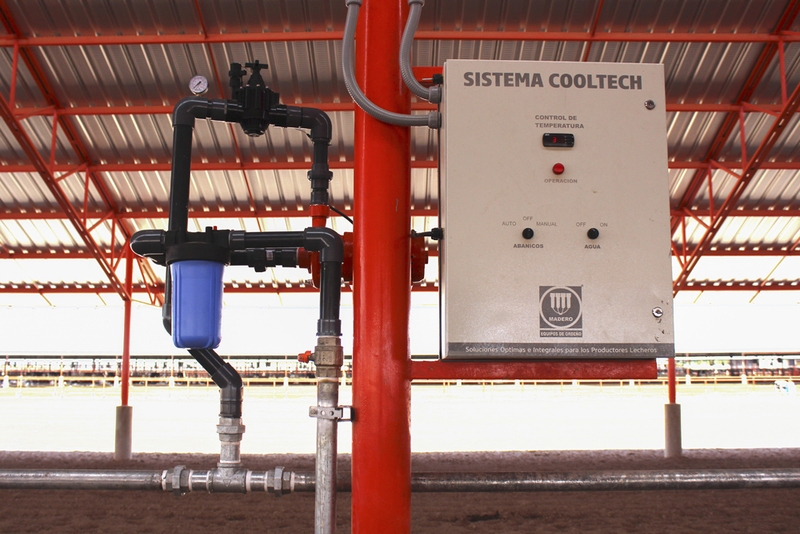 It’s a high velocity fan with a great reach and a flow that creates an idea air current for the evaporative cooling of the cows. This effect is generated thanks to the set of especially designed components for creating the ideal environment for the herd’s comfort. 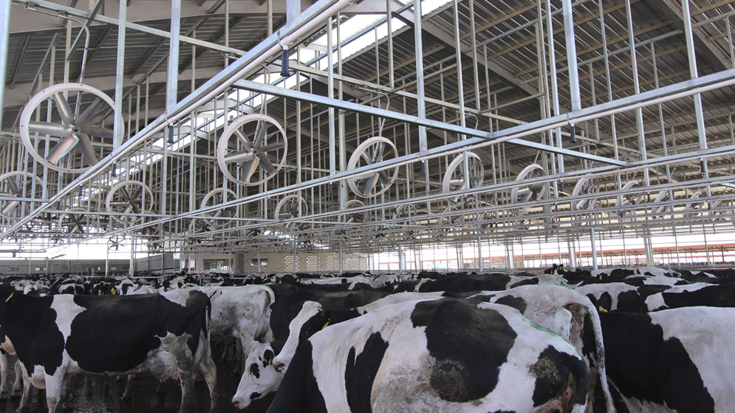 It’s a fan that thanks to its flexibility, it can be used in cow beddings, feeding alleys, holding pens and intensive cooling areas. Its 1.5 HP engine makes it possible to have an efficient energy consumption, therefore increasing the profitability of the farm.